The hell on earth that we call a Houston summer is here. But before you play hide and seek with the sun by holing up in your air-conditioned apartment for three months, know that you have an incredibly well-researched and simply amazing summer bucket list to check off. So ignore the massive amounts of sweat, brave the 98-but-feels-like-108 degrees, and enjoy the Houston summer like a true local would. You’ll have to staycation at the Marriott Marquis, or at least book a luxurious spa treatment to gain access to the hotel’s rooftop waterway and infinity pool. But once you do, it’s worth it. Take advantage of the many zero-dollar outdoor movie offerings at hangouts like Discovery Green, Market Square Park and Axelrad Beer Garden, the latter of which boasts hammocks, beers, and pizza. To make things super convenient, we’ve even put the full lineup of summer screenings in calendar form. On particularly hot days or, whenever you feel like a beer, Conservatory offers a subterranean refuge from the musky streets of Downtown. 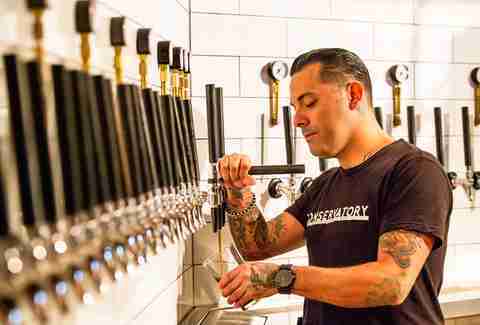 The underground food hall and beer garden currently plays home to a poke spot, a taco and BBQ joint, a personal pizza kiosk, a fan-favorite creperie, a wine bar, and a bakery that serves up donuts, kolaches, and hot dogs. On Monday through Saturday from noon to 7pm -- through the end of June -- Brennan’s of Houston is adding a few extra sparkles to its Courtyard Bar by offering 14 dry and sparkling bottles of rosé. Hit it midday to get glasses from $5 to $14 and bottles starting at $18. 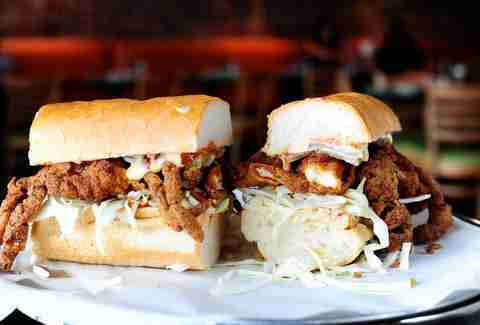 Add on oyster BLTs and crawfish grilled cheese while you’re at it. While it may not be known for crystal-clear water and pristine sands, Galveston Island does rep the quintessential beach town vibe, which is best experienced through eating their foods, obviously. Slurp down briny oysters at The Black Pearl, feast on plantain-crusted Gulf red snapper at Rudy & Paco, eat clams, crabs, and mussels from the steam kettles at Little Daddy’s Gumbo Bar and get all kinds of shrimp and stuff at Shrimp 'N Stuff. 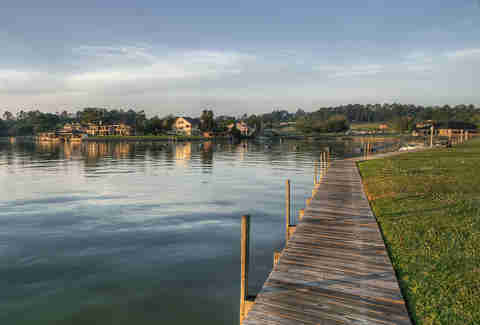 Lake Conroe is practically in Houston’s front yard, which gives you roughly zero reason to not drive up there and rent a boat, and then pontoon the hell out of it for the day. Unless you get sick on boats, I guess. 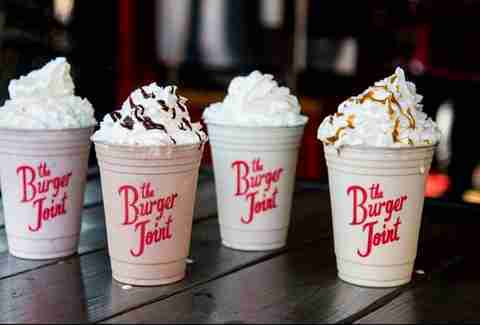 It’s summer lovin’ season, and while you could go old-school and treat your date to a classic burger and shake, you can go new school instead and treat your date to a classic burger and boozed up shake at spots like The Burger Joint, Fielding’s Wood Grill, and Little Bigs. Screw New Braunfels Schlitterbahn. Does it have the tallest water coaster in the ENTIRE WORLD? No, because Galveston Schlitterbahn does. The record-breaking Massiv, cleverly named after the German word for massive, uses jet streams of water to blast you both uphill and downhill. All you have to do is climb up 123 steps, jump in, and forget your crippling fear of heights. 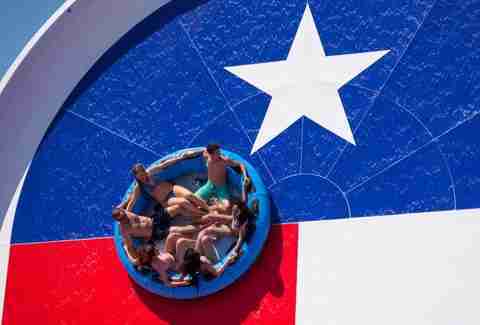 At Katy’s Typhoon Texas, an eight-pack of friends can embark on a head-to-head, head-first race through a winding loop and drop slide. 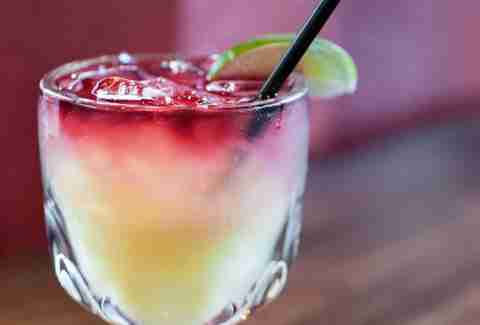 Loser buys a round of frozen margs. And while you’re at it, complete the waterpark trifecta with the Alien Chaser, the new 60-foot-tall, speed drop-and-dive that’ll knock your board shorts off at Wet'n'Wild SplashTown in Spring. 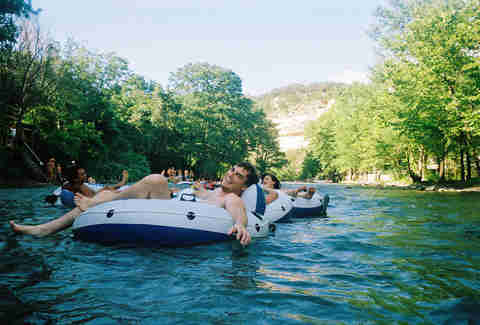 Floating the river, any river, is a right of passage for any true Texan. Take a 3 or so hour drive to somewhere near New Braunfels and you’ll find the Guadalupe and the Comal, both hotbeds for the party floating type. Then there’s the San Marcos, Frio, Blanco, and a ton other rivers across the state that are equally as fair. Whatever you do, don’t bring glass and make sure you get an extra tube for your cooler. Outsiders may not exactly get it, but locals know that Thursday summer eves are for cheering on adorable little turtles as they race out a ring at Little Woodrow’s Midtown. With buckets, a turtle MC, and absolutely ridiculous turtle names, the rowdy event is going on its ninth season this year. Playing off its popularity, other Little Woodrow’s locations have added similar events, with hermit crab races at both the EaDo (Tuesday) and Katy (Friday) outposts. Houston is unbearably hot all summer long, and the only way to combat that is with an ice cold brain freeze via a frozen summer treat. Get one from raspas at Mango Beach, New Orleans-style sno balls at MAM'S House of Ice, or frozen margarita at El Big Bad. Houstonians aren’t wimps. When it comes to rocking out at a show or music festival, we collectively face the humidity in hoards. As you’ll see if you attend any of these outdoor concerts this summer. 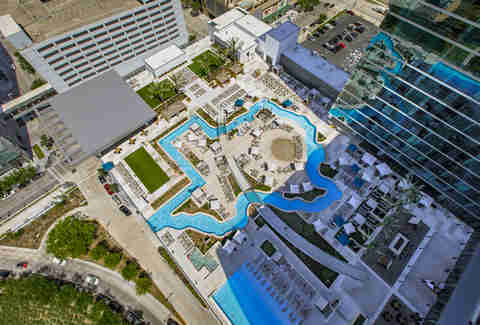 Whether it’s yoga & hops at a local brewery, parkouring in Discovery Green, or group workouts that are equally as intense as they are free, you have to do something to keep your taco gut at bay... it being pool season and all. Or shorts, because this is Houston and even with the super-breathable fabric, linen pants can feel too hot at times. Either way, attending at least some aspect of the Heights annual White Linen Night is a summer bucket list requirement; whether it be perusing the pop-up shops on 19th or raging your face off at the after parties on White Oak. Or some SPAM grilled cheese on Texas toast, or an “Astro Blast” shake loaded with chocolate truffle cookie dough, or a fried chicken and mashed potato-stuffed waffle cone drizzled with honey mustard. Anything to distract from the scared excitement turned devastation that the Astros inevitably have in store for us this later season (still, go ‘stros!). You should probably be going to Fat Cat Creamery all year round, but doubly so during the dog days of summer. The small-batch ice cream shop dreams up crazy flavors that are worth the cheat day, including but not limited to Mint Julep Chip, Texas Honey Toffee, Milk + Cookies, Cat's Meow Mexican Vanilla, and Waterloo Strawberry Buttermilk. There’s also dairy-free stuff. Wanna know what locals like to do in their spare time? This is it. There may not be actual blocks of ice at our ice houses any more (because of the game changing invention of refrigeration), but you will find plenty of ice cold brews to crack open, from old haunts like West Alabama Ice House to the bright and shiny Kirby Ice House. Fact: If you don’t have a pool at your apartment complex/backyard, it’s a matter of survival to make friends with someone that does. Honestly, you should have already been working on legitimizing this relationship this for months -- especially if that someone happens to live at Market Square Tower, home to the glass-bottomed sky pool that hangs over Downtown from 40 stories up. Houston’s most epic picnic purveyors are here to help. Buy one too many cheeses at Houston Dairymaids, hop over to Canino Produce for fresh fruits and preserves, stock up on house-made salumis and country ham at Revival Market, and get the sweet stuff at Red Dessert Dive. 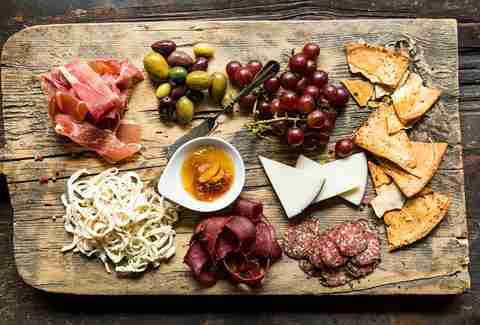 Or if you’re downtown, hit up Phoenicia Specialty Foods and go nuts on some imported cheeses, fresh salads and deli meats, hummus and baklava. 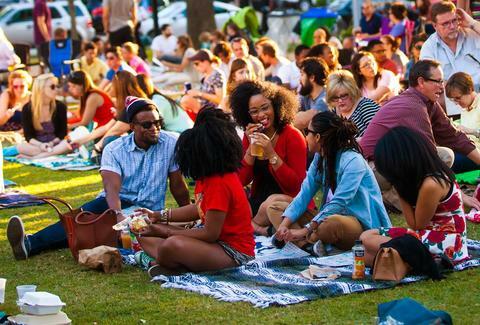 Now bring said picnic to Memorial Park, Buffalo Bayou Park, Hermann Park, Menil Campus, Discovery Green, or, to get a two-fer with a picnic and a free show, Miller Outdoor Theatre. Get the hell out of Houston! Whether you’re a music buff, bed & breakfast snob, or smoked meat aficionado, these small towns are the perfect escape from the city. The best part? 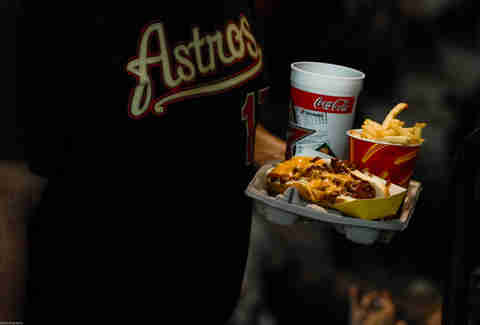 They are only one or two Whataburger stops away, tops. Brooke Viggiano is a Houston-based writer who is for sure getting the hell out of Houston this summer, at least for a little bit. See where she goes @BrookeViggiano.